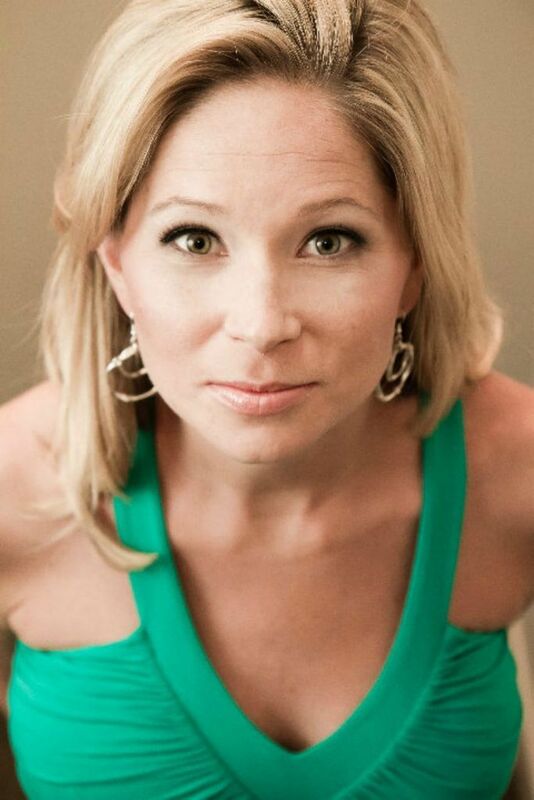 We are beyond proud to include Life Coach & Registered Counsellor, Kristin Edstrom as a part of our HIITit.ca family!! Kristin is passionate about helping women to succeed, and reach their full potential in life as she meets in person and online with clients. Kristin works together with us HIIT'ers giving us ongoing small pieces of practical life advice throughout our monthly program, is our leader in answering body image questions that come in via email and our HIITit Room* as well as Kristin offers all HIITit KeyTag holders a discounted rate on her incredible Life Coaching and Counselling services with Kristin Edstrom Counselling. We are MORE than thankful for Kristin's place on the HIITit team and encourage you to be in touch with her at any time. Personal counselling sessions available in person and online. ** To book an appointment, online or in-person with Kristin Edstrom, click here. Join our Private Facebook HIITit Room by clicking here!! We hope that you enjoy our 'Dear Kristin' column of real questions that we receive here at HIITit.ca. Please send in your questions for Kristin any time to workouts@HIITit.ca. I come from an awesome family….two loving parents and an older bro and older sister. Although I gained the necessary weight back within about a year (physical recovery), my mind (and eating disorders are classified as Mental Disorders for a reason) was much slower to catch up….I would say it took me a good 10 years to be in a good head space with my body. You may hear me use the term “Ed” and that is what I refer to as Eating Disorders, I think it helps to personify one’s eating disorder. Just because this is what I do for a profession doesn’t mean that I am not tempted by Ed numerous times a day to fall back into former patterns of thinking and behaving, it’s just now, after 20 years, I know how to seal off my house from Ed’s constant knocking at my door. I am absolutely passionate about what I do. I believe our society, especially women, spend too much time comparing, thinking, worrying about, hating and trying to changing their bodies…..my mission to to help women of the world love free their minds and love their bodies and in turn, to truly live out their passions and help others to do the same. *After receiving a psychology degree from Trinity Western University (aka the degree that will allow you to make the same amount of money whilst working at Starbucks as someone who does not have a psychology degree), I went back to school and received my Masters in Counselling Psychology from Gonzaga University in Spokane, WA. I then proceeded to do postgraduate eating disorder training at Stanford and The Ackerman Institute for the Family in New York. Q. I have a horrible habit of comparing myself to others. This often happens when I am with others, looking at magazines or scrolling social media. How can I not compare myself and my body to others? The quote that comes to mind when I’m asked this question is…. “Comparison is the thief of joy.” Isn’t that so true?! Back in the 90’s there was a study done in Fiji about the impacts of television on body image and eating disorders. Television was the focus of the study because in the 90’s internet was just becoming a thing and social media was just a twinkle in the internet’s eye). Fiji was selected as a study site because of its extremely low prevalence of eating disorders, having only one reported case of anorexia by the mid-1990s. The Nadroga province of Fiji was selected for its lack of exposure to television until mid-1995. The study measured the impact of television on the native people of Fiji…..in the years before the study many of those involved in the study had not been exposed to Western media and coincidentally enough, there was a very low rate of eating disorders….then television made its way to Fiji and our Western ideals came through on their televisions sets and guess what happened to the rates of eating disorders when TV was introduced? They increased big time! And that was just TV! So what I am saying is what we watch, scroll thru, surf has a massive impact on how we feel about ourselves. My tips. I would highly recommend deleting all social media from your phone, but I am also a 36 year old female not living under a rock, so if you can’t do that, then really limit your time. Here are some examples. Set a timer for 10 minutes and then close the website or app that you are on after that timer goes off. Go without social media for a day, week, month - whatever time period you want to set as a goal and notice how your life is affected because of it - either positively or negatively. Don’t look at social media first thing in the morning or before going to bed….in other words, don’t let it be the first thing you lay eyes on in the morning or the last thing your eyes see (before your eyelids) at night….it sets the tone for the day if you do it first thing and it can creep into your subconscious if you look at it right before you go to bed. It can also keep you up much later than you intended at night time :-). Be mindful of who you follow, what you are looking at - are their people you constantly compare yourself to? Unfollow them! Have a deciphering lens when you view pictures. Are there any filters? Is this unedited? Chances are there has been some heavy handed filtering going on in most of the pictures on instagram. Be realistic about what you are looking at - we live in a selfie-centered, filtered, airbrushed world…..did you know that according to a wave of recent reporting, the prevalence of selfies is utterly staggering: the average millennial will take 25,700 in their lifetime; it is claimed that females aged 16 to 25 spend five hours taking selfies per week; and on average, 93 million selfies are taken worldwide each day. All that to say for the one picture that makes it to the feed there are thousands of others on the cutting room floor.